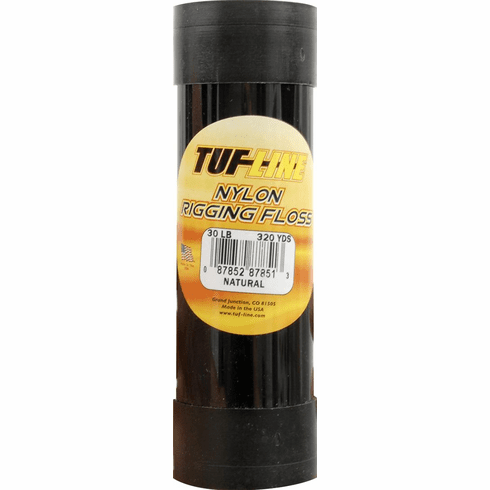 Western Filament Tuf-Line 30Lb Nylon Rigging Floss Miami Fishing Supply, complete selection of offshore fishing tackle, marine electronics and boat supplies. Quality waxed rigging floss. Packed in a convenient dispenser pack. 30lbs, 320 yds. Natural.